Here are some quantitative reflections on “Uncommon Descent” (UD) and “The Skeptical Zone” (TSZ) in 2017. I cannot stress enough the quantity bit, nothing is said about the quality of posts and comments. Since 2005, Uncommon Descent (UD) – founded by William Dembski – has been the place to discuss intelligent design. Unfortunately, the moderation policy has always been one-sided (and quite arbitrary at the same time!) Since 2011, the statement “You don’t have to participate in UD” is not longer answered with gritted teeth only, but with a real alternative: Elizabeth Liddle’s The Skeptical Zone (TSZ). So, how were these two sites doing in 2015? 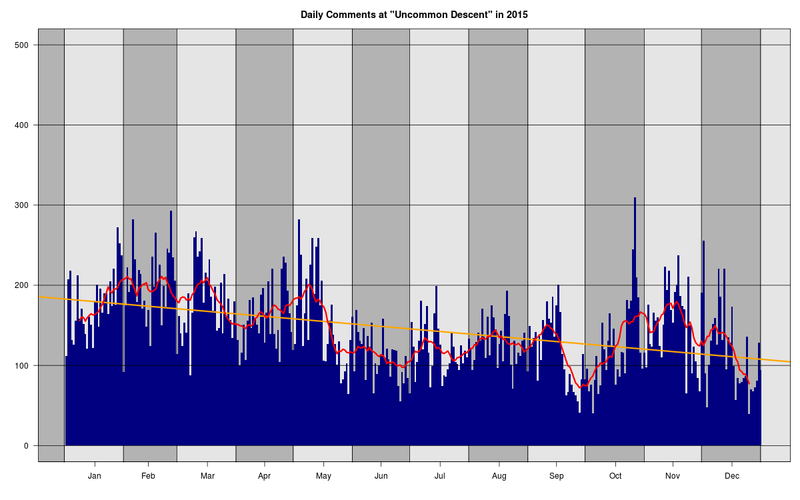 In 2015, there were still 17% more comments at UD than at TSZ – 53,100 to 45,200. 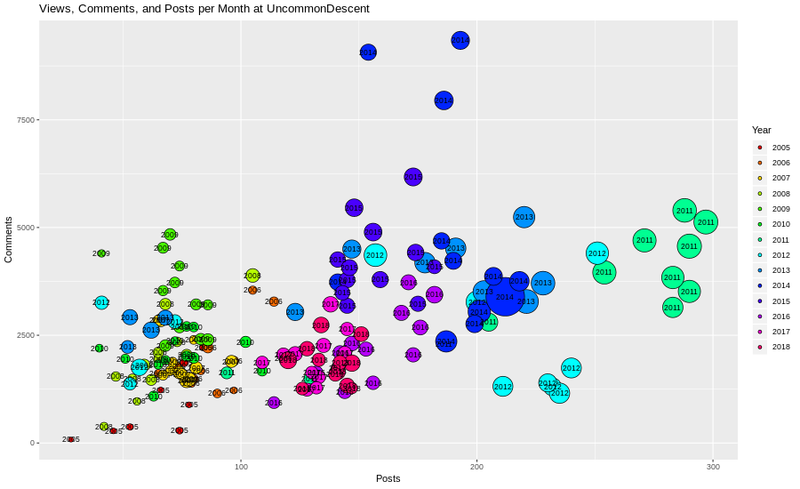 Though UD is still going strong, there is a slight downwards trend (yellow line) in the daily number of comments.